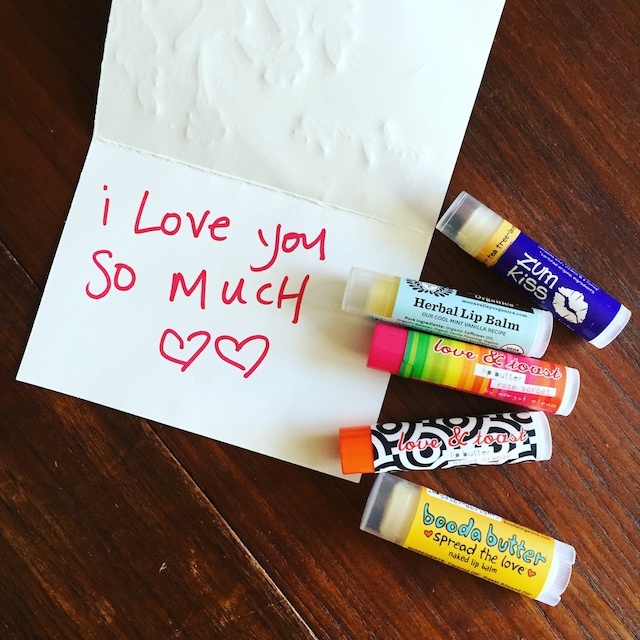 The Lip Balm Blog – Looking for the best balms, salves, and butters, one tube, tin, or tub at a time. Whoops! I didn’t intend to take so much time away from this site, but the demands of finishing a cookbook and the summer canning season made it hard to get over here. I have gathered up quite a backlog of balms to share (including the recent shipment from my sister) and so I hope to drop by at least once a week (or more!) from here on out! 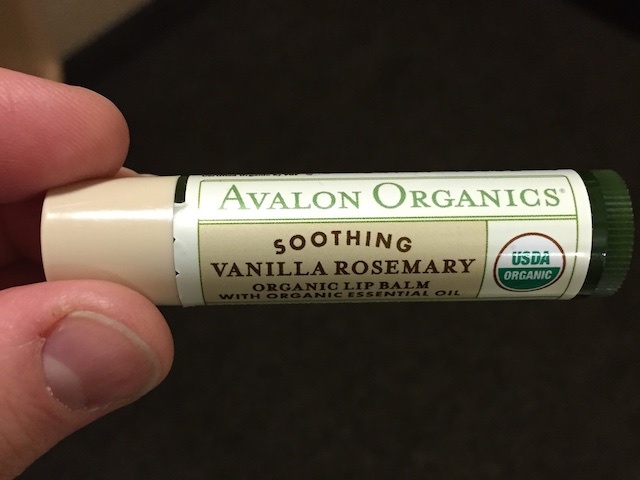 Today’s balm is the Vanilla Rosemary Lip Balm from Avalon Organics. As an avid fan of both vanilla and rosemary flavored things, I was quite excited when I spotted this one on the shelf at a natural foods store outside of Indianapolis. It speaks to both flavors well (though I’d love a little more rosemary and a little less vanilla) and is smooth and not too sweet. Details: Comes in a .15 ounce tube. Costs between $2-3 when you buy it at the store. On the Avalon Organics site, it’s $2.99 and on Amazon, it’s $5.05 (but that price does include shipping). 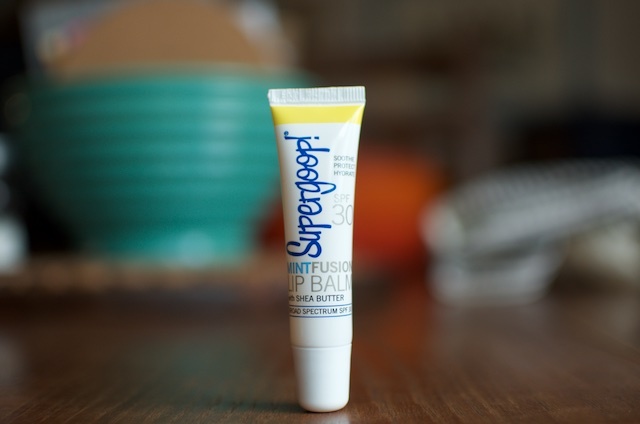 As someone who often can be heard asking, “where’s my lip goop?” I was sold on a product called Supergoop Lip Fusion from the very start. I have the mint version, which is a colorless slick of SPF and shea butter goodness. You can also get it in a tinted acai format. 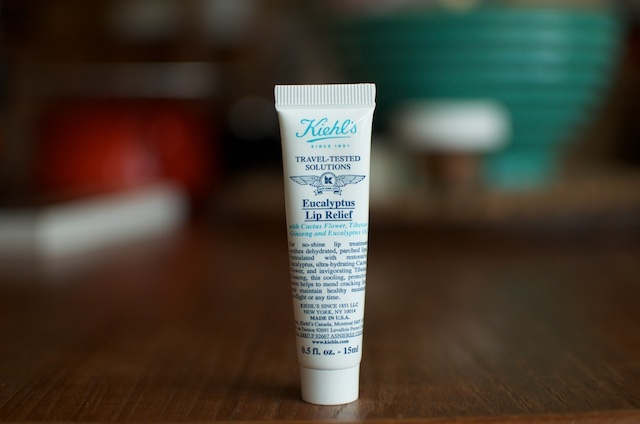 It’s a nicely hydrating tube of balm that has a slanted applicator tip (unlike Kiehl’s, Supergoop doesn’t expect you to apply with your fingertip like a heathen). I also appreciate the SPF, because I did not inherit a whit of my mother’s Ashkenazi olive complexion and so burn like the pasty Scottish person my father’s genes made me into. Details: Comes in a .5 ounce tube. Costs $8.50. Disclosure: I bought this one. I have an unfortunate tendency of buying things I wouldn’t otherwise consider when I’m stranded at airports. This is why I own memory foam eye shades, one of those bean bag neck pillows, and this tube of Eucalyptus Lip Relief. The day I bought it, I was not in need of lip balm (I probably had at least three different options already on my person). I was simply looking for a little entertainment while waiting for a flight and buying an $8 tube of balm seemed as good as any in that moment. 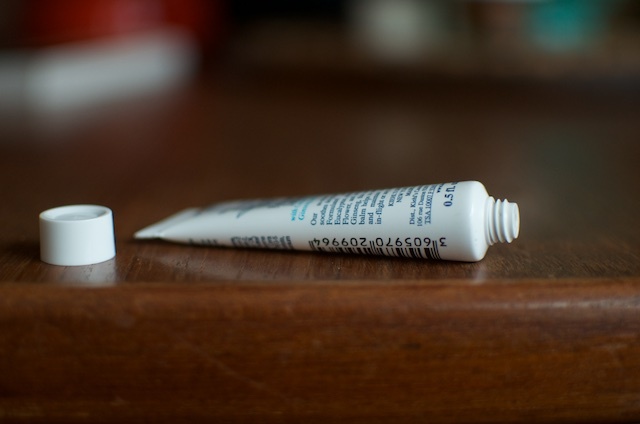 Despite not actually requiring it, this little tube has become one of my preferred balms. 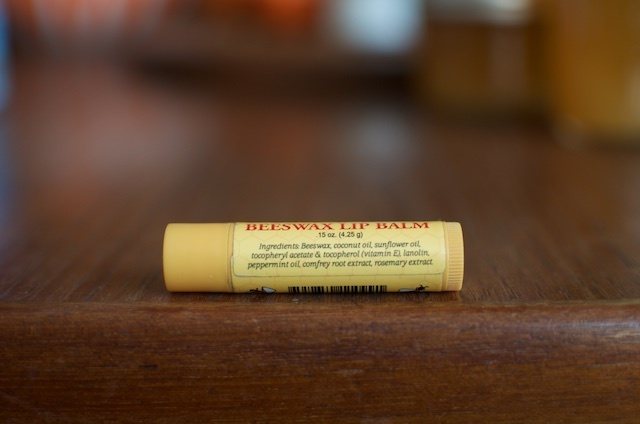 It has a nice consistency, wears well, and the eucalyptus makes it feel pleasingly therapeutic (I have always been partial to medicated balms. It dates back to a childhood attachment to Mentholatum. More on that soon). I also like how it works as a balm to all your chapped parts, not just the lips. I’ve been known to dab a little on my nose during cold season, or on my cuticles if I’ve been doing a lot of dishes. It works beautifully in all applications. Details: Comes in a .5 ounce tube. Costs $8. 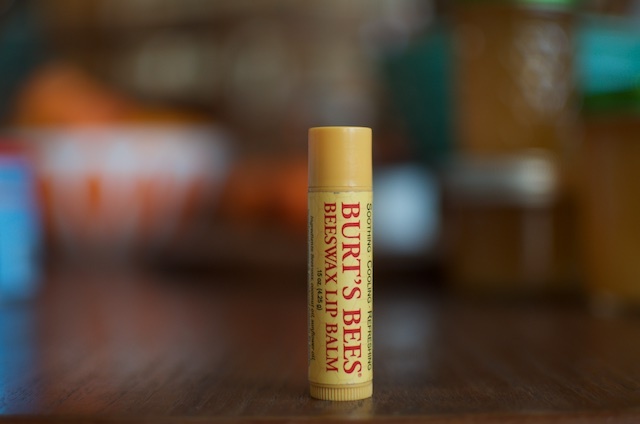 Classic Burt’s Bees lip balm in its original, minty configuration is an oldie but a goodie. Available in most drug stores, it’s a good option for those moments when you’re having a lip balm emergency (they happen!). 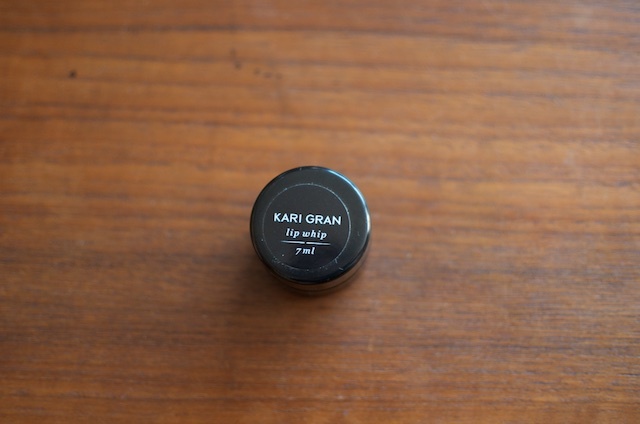 It’s also my favorite lip balm to keep in the car because for some mysterious reason, even on the hottest days, it does not melt into a liquid state (always a danger with other balms during the summer months). Truly, the only issue I run into with Burt’s Bees is its flavor. I love it, but my husband has a weird aversion to all things mint. So I’m less likely to get a kiss if I’ve applied it recently. Those are the breaks! Details: Comes in a .15 ounce tube. Contains beeswax, coconut oil, sunflower oil,vitamin E, lanolin, peppermint oil, comfrey root extract, and rosemary extract. Costs $3-4. Disclosure: I have several tubes scattered around my world and I bought them all. My sister gave me my first tube of Vermont Bee Balm lip balm years ago. It was the orange flavored version and she picked it up at a co-op while on tour. Knowing that it was hard to find outside of New England, I used it sparingly. When I was in Vermont last summer on book tour, I made a point of visiting the lip balm aisle of the natural foods market where I was demonstrating. And while they didn’t have the orange flavor, the did have a tube of the original version and so I added it to my basket. It’s been stationed on the windowsill behind my seat on the couch ever since. 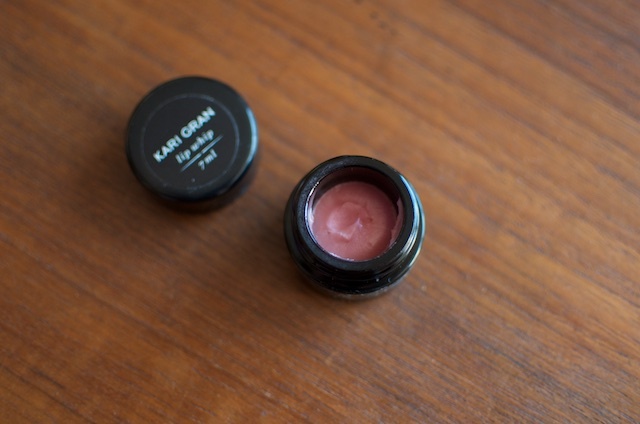 The reason I like this balm so much is that it is super smooth, not too heavy, and yet still gives you long-lasting moisture. Let me explain why this unusual. In my experience, lip balms run a spectrum of oily to waxy. Sometimes you want something on the waxier end of the spectrum, because the dense stickiness of the wax makes for a longer lasting, thicker application (these are better for winter use). Other times, you’re looking for something lighter and that will absorb more quickly. You typically get that with a product that has less wax and more oil. However, pulling together the best qualities of both wax and oil without having any of their lesser characteristics taking center stage makes for a very nice balm indeed. 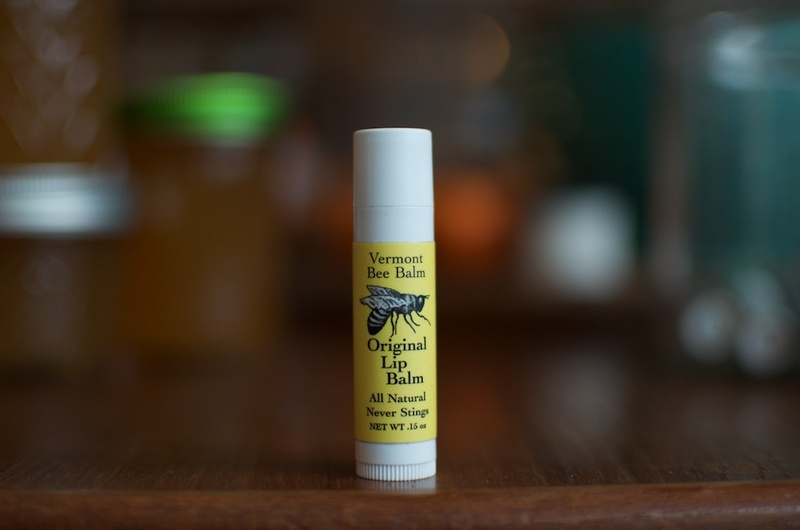 And that is, in a nutshell, the Vermont Bee Balm Original Lip Balm. Details: Comes in a .15 ounce tube. Made in Craftsbury, VT. Contains olive oil and beeswax. Costs $2.50 (or thereabouts). Disclosure: I bought this lip balm.